Pale bronze with a hint of yellow gold colour, and a fragrant perfume of exotic potpourri flowers. This wine is beautifully balanced and delicate, with persistent flavours that linger. It is full-bodied displaying a rich exotic blend of lychee, musk, sweet ginger spice, quince, Turkish delight and lush tropical fruits. A seductive wine with depth and flavour concentration distinctive for the region. The finish is dry but beautifully integrated by both fruit and the gentle cleansing mineral acidity and quartz on the finish. The flavours of this wine allow it to match well with an array of spicy foods - smoked chicken with a tangy mustard sauce, Thai red fish curry, chili and prawn risotto and the list goes on. 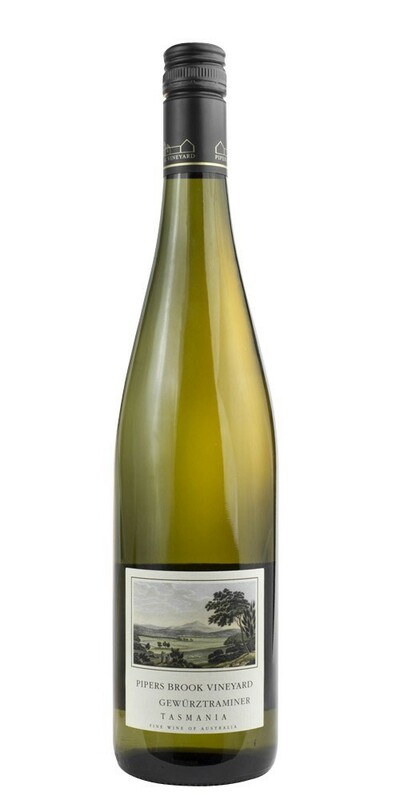 Gewürztraminer is a versatile wine that will match well with an array of spicy cuisine. Established in 1974, Pipers Brook Vineyard is the home of Kreglinger Wine Estates - producers of the internationally acclaimed Kreglinger Vintage, Pipers Brook and Ninth Island wines. Pipers Brook wines are entirely estate grown and bottled, and take advantage of time-honoured traditional methods as well as advanced oenological developments.